I am very glad to announce the launch of the new unlimited edition of my two videoart videos made with refugees, presented by Image Movement in Berlin. During the evening, there will be new silent participative performance, extraordinarily decided as a reaction of the latest events in Berlin. Part of the proceeds of the sale of the video edition will be donated to support refugees. Performance – and video artist LIUBA returns to Image Movement for the launch of her publication »Refugees welcome« / »You’re out«. Video-works of participative performances she realised with Refugees people in Berlin over the last two years are carried on an USB-wristband special unlimited edition wrapped-up in a newspaper–sized original poster. In her work practice LIUBA is collaborating with anthropologists and sociologists for site-specific projects. Her research is based on the analysis of contemporary society, investigating contradictions and social problems of daily life. Her work has been presented in many exhibitions, including Venice Biennial, The Armory Show New York, PAC Milan, Art Basel, or Scope London. The projects »Refugees welcome« and »You’re out« are in her series of participative performances made with Refugees living in Berlin. 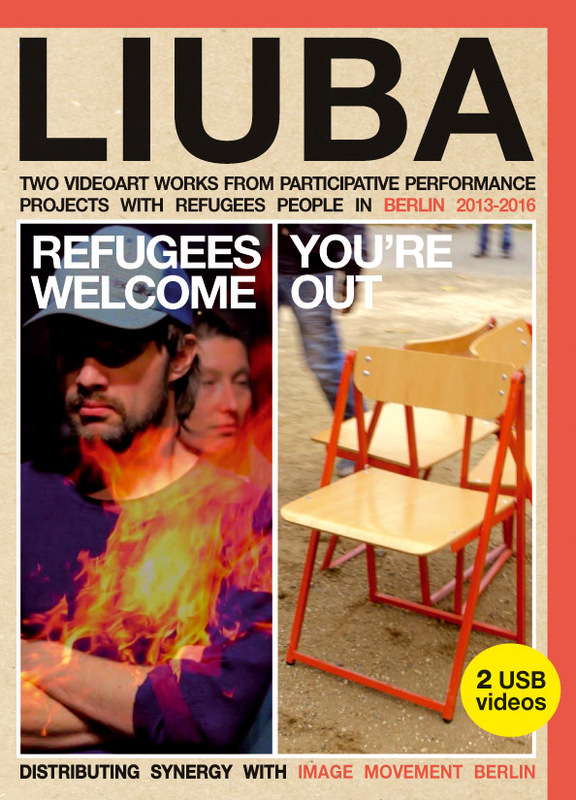 At Image Movement LIUBA will perform a new version of the »Refugees Welcome«performance, extraordinarily decided as a reaction of the latest events in Berlin. The audience is asked to take an active part in the action.